Prairie dogs are burrowing rodents who live on the plains of North and Central America. They were first documented by Lewis and Clark in their 1804 journals from their journey across the United States. Lewis recognized the similarity between prairie dogs and squirrels (both rodents) and called it the barking squirrel. Prairie dogs belong to the order Rodentia, the family Sciuridae (along with squirrels and chipmunks), and the genus Cynomys (which means “mouse dog”). Within that genus are a number of species, including the Gunnison’s prairie dog (Cynomys gunnisoni), the white-tailed prairie dog (Cynomys leucurus), the black-tailed prairie dog (Cynomys ludovicianus), the Mexican prairie dog (Cynomys mexicanus) and the Utah prairie dog (Cynomys parvidens). Gunnison’s Prairie Dogs live in Utah, Colorado, New Mexico and Arizona. Gunnison’s prairie dogs hibernate from November through March. They are yellow-tan in color, slightly paler than other prairie dog species, and have a short white-tipped tail. In early 2008, the U.S. Fish and Wildlife Service determined that populations of the Gunnison’s prairie dog located in central and south-central Colorado and north-central New Mexico are warranted for protection under the Endangered Species Act, but they could not be listed as endangered because they were deemed a lower priority than other species. Today, Gunnison’s prairie dogs have no form of federal protection whatsoever. The only exception to this is a protected colony living in Petrified Forest National Park. DO PRAIRIE DOGS DRINK WATER? Not usually, but they will. In the wild, they get enough moisture from the native grasses and weeds that they normally eat. In Albuquerque during a drought, they will eat cactus to receive their needed moisture and to prevent starvation. Supplemental water is needed in barren areas and during drought conditions. IS IT OK TO FEED THEM? If they have native grasses and weeds (even goathead greens) they don’t need to be fed. However, if their area is barren of foods native to their diet it is ok to feed them. Grass cuttings and alfalfa are the closest foods to their natural diet. Sweets are not natural for them but they love sunflower seeds, corn on the cob, lettuce, peaches, strawberries, watermelon and apples. They don’t like broccoli, zucchini and potatoes. WHY DO THEY NEED POPULATION CONTROL AND WHERE DO YOU TAKE THEM? “City” prairie dogs are trapped in small areas and have no predators other than man and automobiles to maintain their population. Eventually they reach maximum population and must be thinned out on parkland in Albuquerque. They are relocated by our volunteers to a refuge south of the city. The ideal time is in June, July or August although they can be relocated in April before the babies are born. DON’T THEY CARRY THE PLAGUE? Plague is not carried by prairie dogs but by fleas that can infect all mammals. If a prairie dog is infected by plague carrying fleas, it, and the whole colony, will die. According to the Environmental Health Department, they are not carriers of the Hanta Virus. If prairie dogs are “frisky”, they are healthy. While all mammals are believed to be susceptible to rabies, there have been no recorded cases of prairie dogs transmitting rabies to humans. Most likely the animal is killed in the initial attack by a rabid animal, or dies shortly thereafter, before it can develop rabies. Never the less any rabid animal is potentially capable of rabies virus transmission. 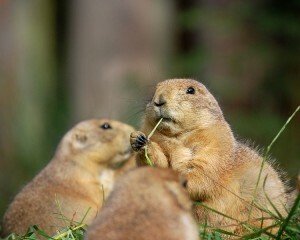 If the prairie dogs appear to be “frisky” they are most likely healthy and free of disease. Regardless of their condition, prairie dogs, like other wild animals, should not be handled. WHAT KIND OF PRAIRIE DOGS LIVE IN ALBUQUERQUE? Gunnisons or white-tailed which are one of five species of ground squirrels. The Black-tailed prairie dogs are no longer found in the Albuquerque area. The Gunnison prairie dogs in Albuquerque do … Usually between November and March. Black-tailed prairie dogs do not. HOW OFTEN DO PRAIRIE DOGS HAVE BABIES? The usual litter is 3 to 5 pups once a year in May. The babies come above ground in June and begin to eat grasses and weeds instead of nursing. Only about 50% will survive more than 6 months. Find out more about them by visiting some of our fact sheets here and here and here! 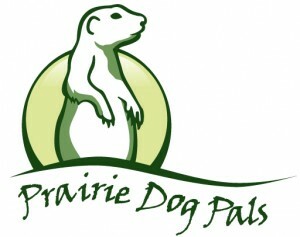 In 2008, Prairie Dog Pals submitted a proposal to the city for the rescue and relocation of prairie dogs. The RFP (Request for Proposals) contained some interesting language that gave us cause to review and update some of our procedures. 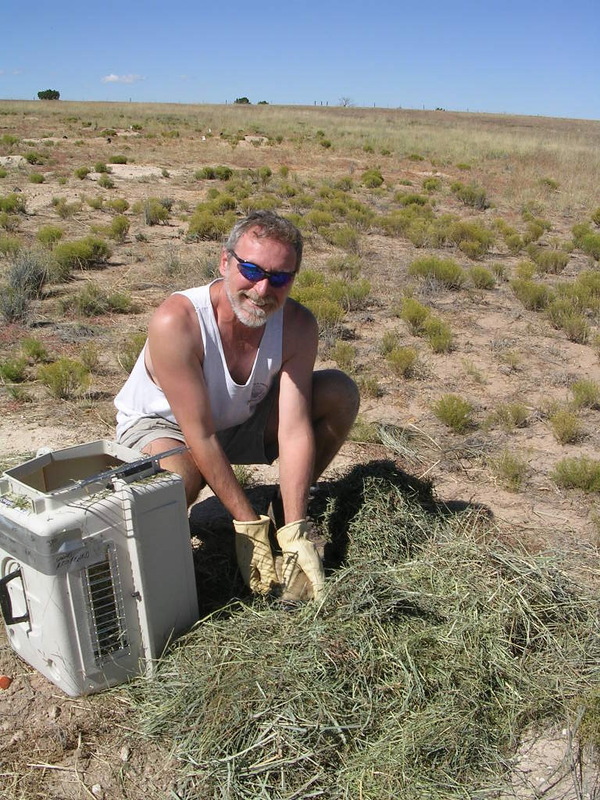 The RFP required that we determine the necessary vaccinations for handling prairie dogs. While we were not aware of any requirements we researched CDC files and talked with our local health officials. Based on the letter and our review of CDC recommendations for handling animals during rescue operations, we’ve developed our own protocol to protect our volunteers. • Use anti-bacterial cleanser after washing. • Wear heavy protective gloves when handling prairie dogs. • Wear surgical gloves when handling sick or wounded animals. • Wear surgical and protective gloves when cleaning cages. • Consider use of goggles or face protection if splashes from contaminated surfaces may occur. • Do not allow rescued animals to bite or scratch you. • Do not eat in animal care areas. • Pregnant women and immuno-compromised persons should not volunteer for positions involving direct animal contact. • Bring a change of clothes to wear home at the end of the day. • Bag and thoroughly clean clothes worn at the shelter. • Whenever possible, caretakers should have completed a 3-dose prophylactic vaccination series for rabies. • Whenever possible, caretakers should have a tetanus shot to protect against infections from accidental scratches or bites. • In the event that a person is bitten by a prairie dog that appears to be ill or acting strangely, the animal will be surrendered for rabies testing and the person be given prophylactic vaccination as a precaution. In addition, the testing should include plague/tularemia screening in case the sick animal represents the first stage of a plague epizootic.